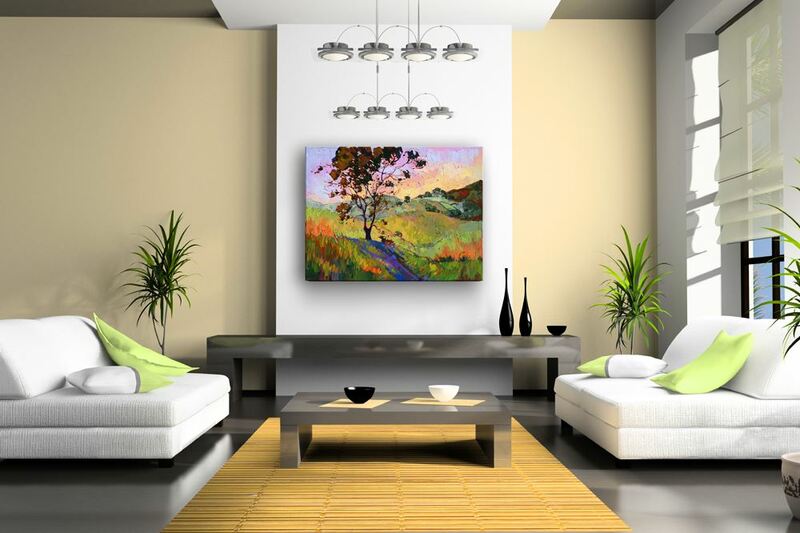 Here are some inspirational ideas for designing around an Erin Hanson painting. 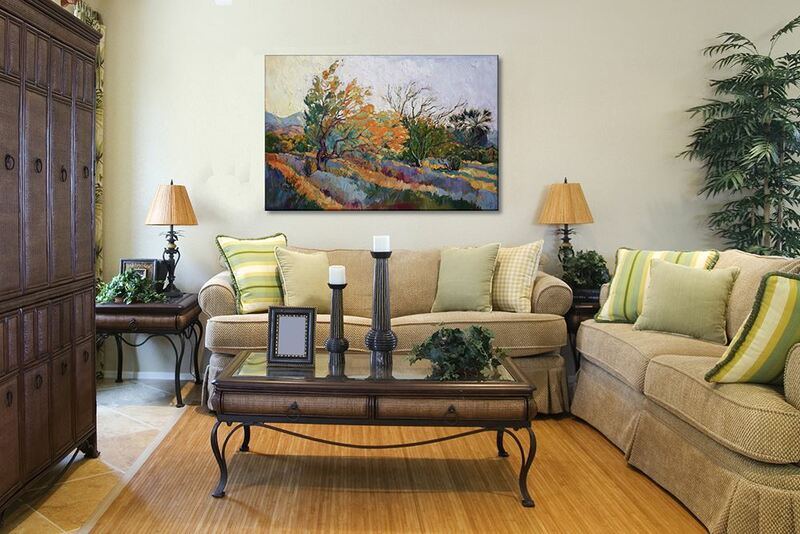 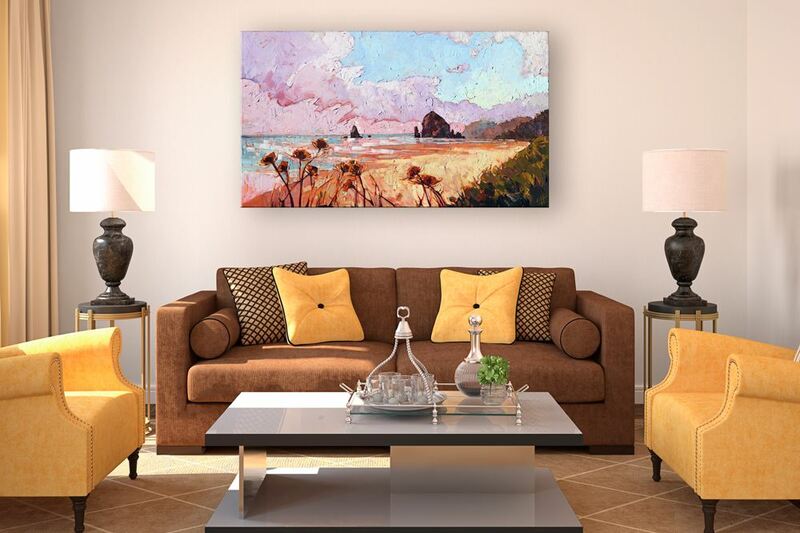 Whether you are working on sprucing up your home yourself or you are working with an interior designer, Erin Hanson is ready to help with choosing a painting or creating a custom work for your home. 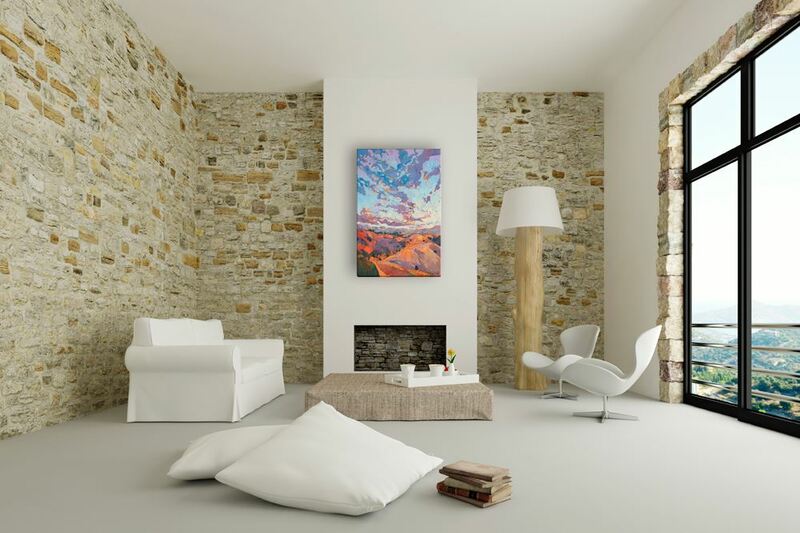 We are happy to bring selected paintings to your home (within traveling limitations) so that you can see how the painting looks before purchasing it. 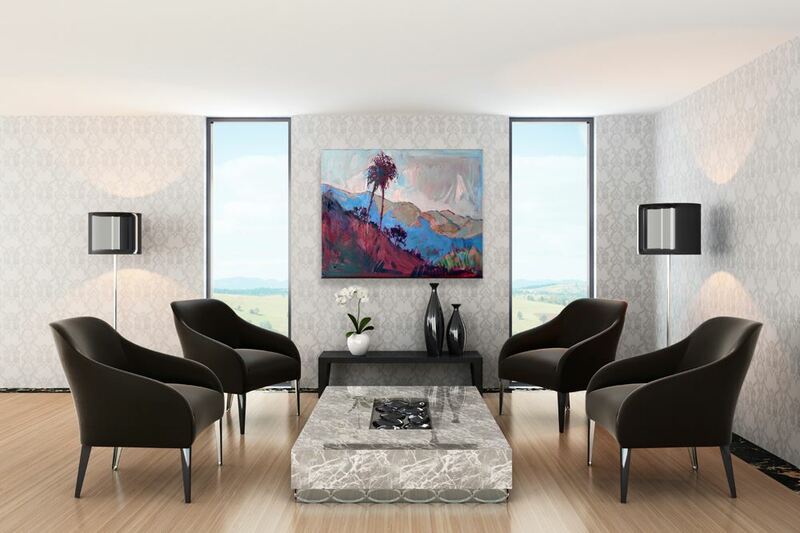 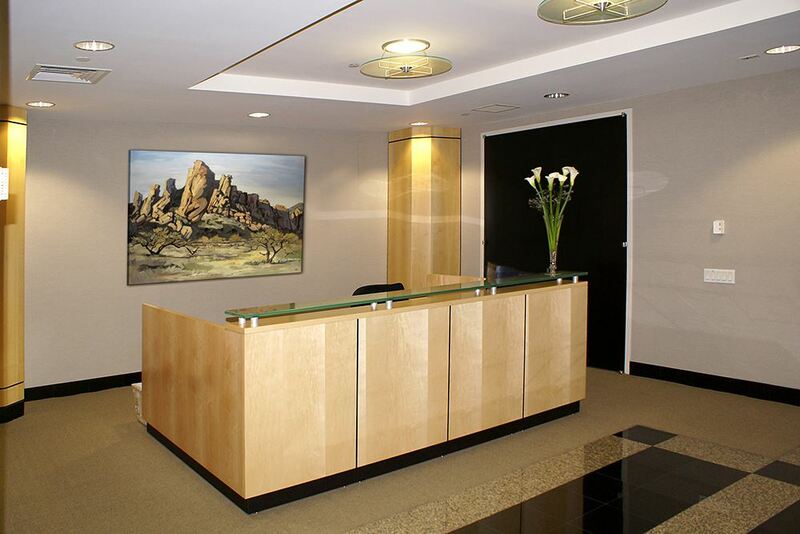 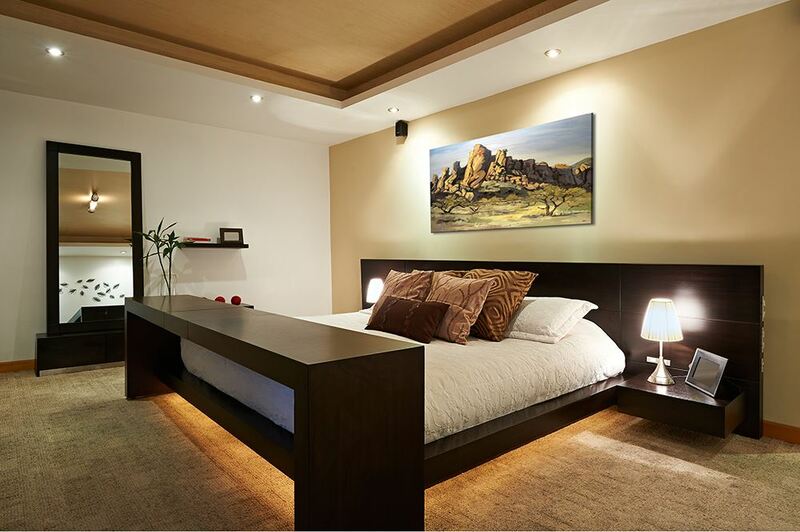 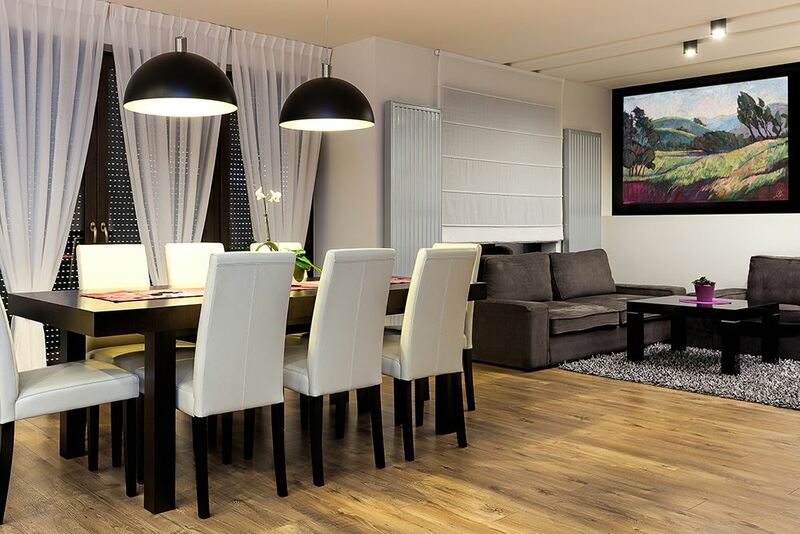 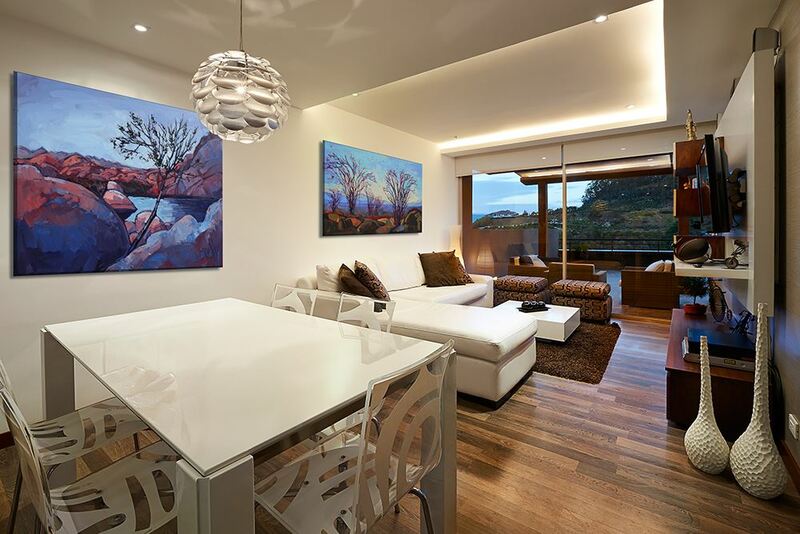 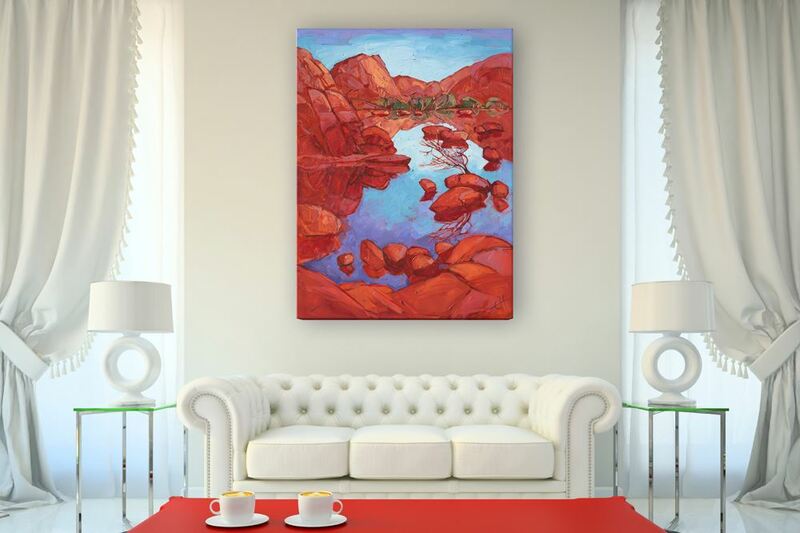 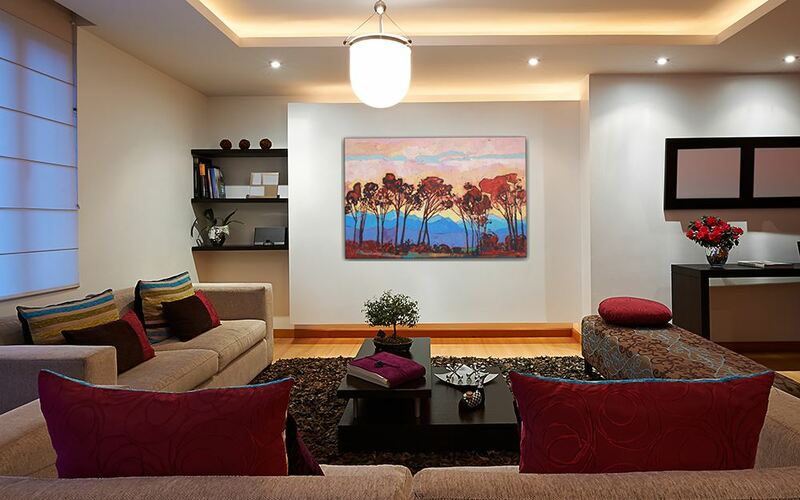 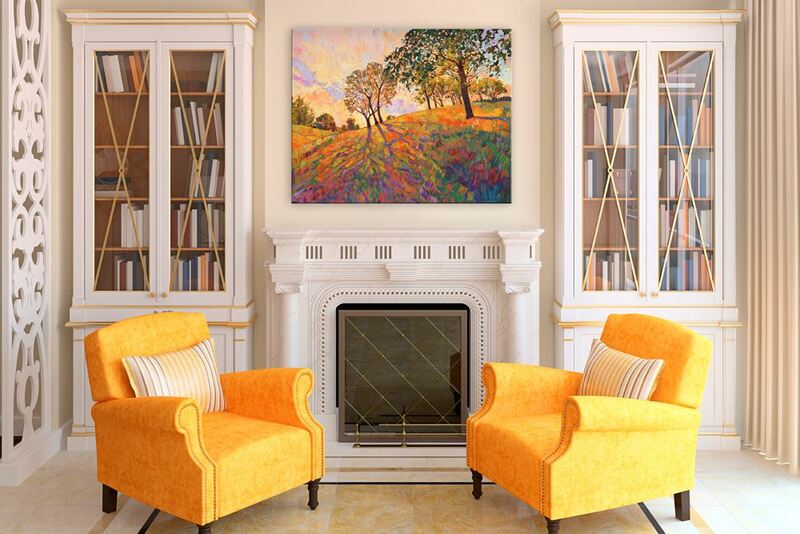 We can also provide Photoshop mockups of different paintings in your home using photos you have taken. 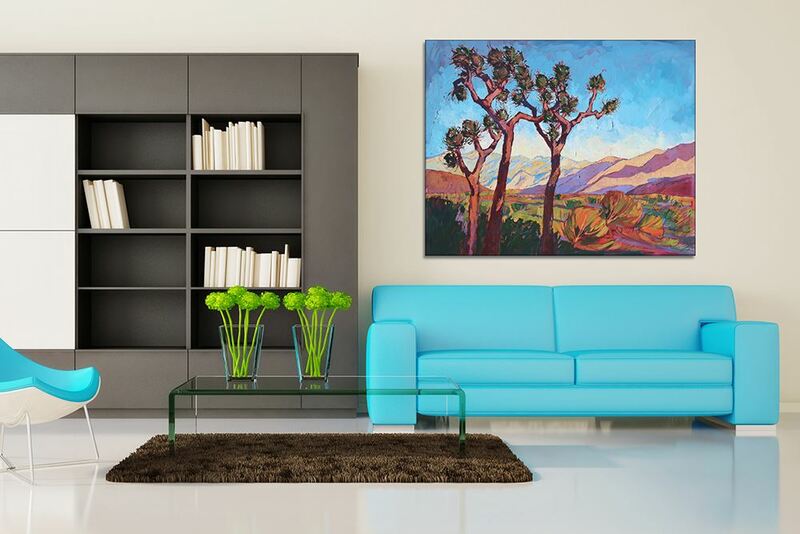 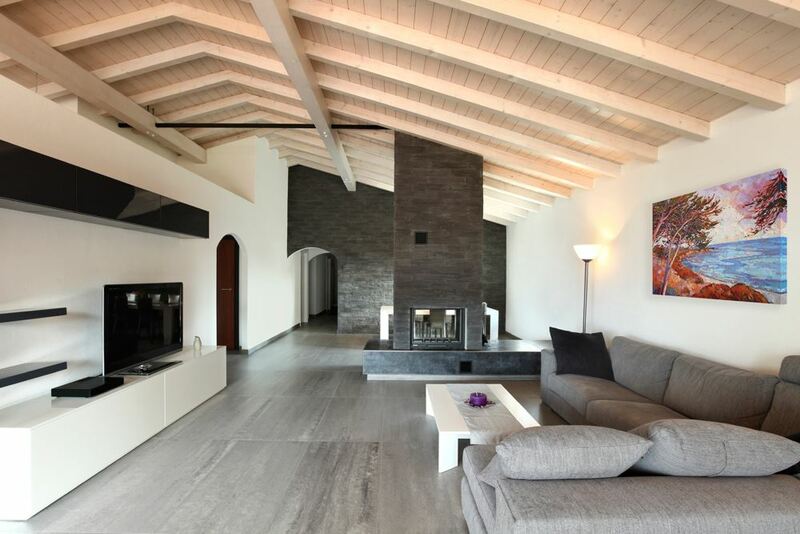 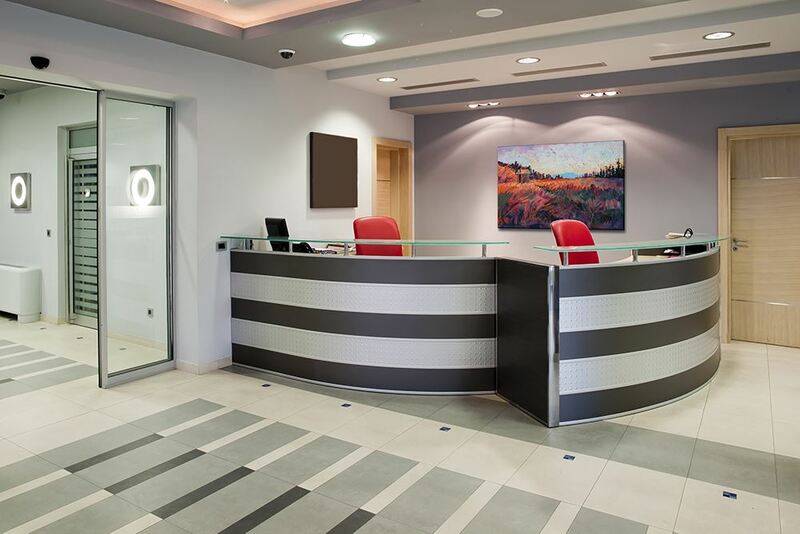 Please visit our page for more design ideas! 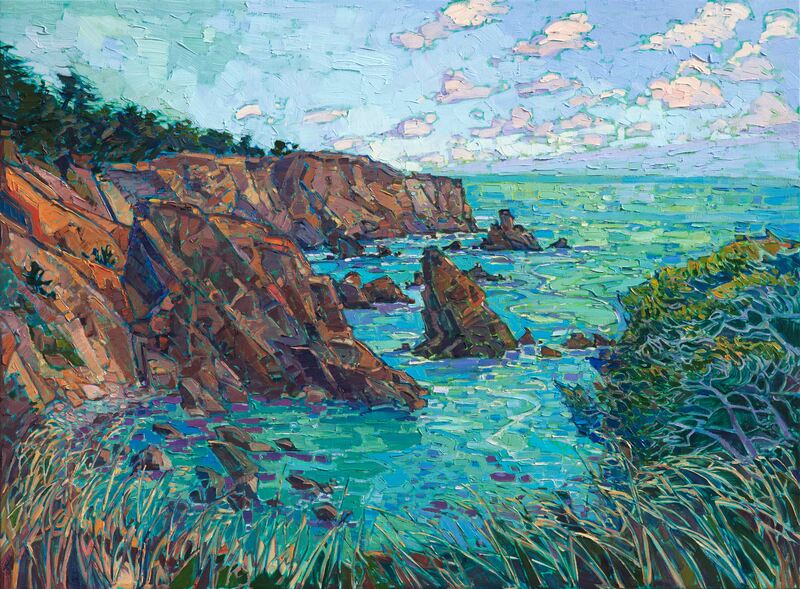 If you are an interior designer and you are interested in showing Erin Hanson's work to your clients, please contact Amy..
To purchase Erin Hanson prints with a reseller's discount, please visit DesignerPrints.com.